A Delaware Blue Hen at heart, Dr. Hunt graduated from the University of Delaware with a bachelors degree with distinction. He then moved to Louisville, KY to earn a masters degree from Spalding University. After 3 years of working in the mental health field, he then pursued a doctorate in clinical psychology. Dr. Hunt earned a doctorate in clinical psychology from the Philadelphia College of Osteopathic Medicine and he completed an APA accredited internship at Friends Hospital. Dr. Hunt completed his residency at Ancora Psychiatric Hospital. Dr. Hunt’s externship training includes some of the most prestigious institutions in the country including: University of Pennsylvania’s Center for the Treatment and Study of Anxiety (CTSA), the Children’s Hospital of Philadelphia (CHOP), and Cooper Hospital. 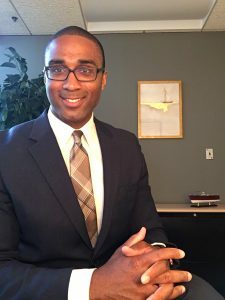 Following his clinical training, Dr. Hunt honed his clinical experiences in various forensic and clinical settings, but his experience in the Family Health Clinic at McGuire Air Force Base put the “BH” in BHAR! Dr. Hunt loves behavioral health appointments and is known for helping people to make significantly positive life changes within 30 minute appointments! Ask if a Behavioral Health appointment is right for you. Dr. Hunt is currently the owner of Behavioral Health and Anxiety Reduction (BHAR) and a practicing licensed clinical psychologist. He uses evidence-based treatments to assist individuals living with a wide variety of psychological illnesses. Dr. Hunt uses Cognitive Behavioral Therapy (CBT) to treat anxiety disorders, stress, depression, relationship problems, anger, insomnia, adjustment problems, and grief. He has practiced in the mental health field for over 15 years and treated men, women, boys, girls (ages ranging from 3 to 84 years old), LGBQT, minorities, as well as individuals from high, middle, and low socioeconomic backgrounds. Kristin is a licensed psychologist in Pennsylvania and New Jersey. Dr. Conlon has experience in providing treatment for severe mental illness as well as forensic populations. She currently provides group therapy in the Havertown office. Sahra is an expressive arts therapist, formally trained in art therapy. She currently provides group and individual therapy in the Havertown, PA office.